At 80 years old, three-time Grammy award winner and Country Music Hall of Famer Kris Kristofferson is still playing strong. The country crooner has recorded 30 albums (including three with his besties Willie Nelson, Johnny Cash, and Waylon Jennings as part of country super group the Highwaymen), acted in more than 70 films, and penned songs recorded by artists such as Janis Joplin and Sammi Smith. GRAMMY WINNER Country legend Kris Kristofferson croons at the Fremont Theater on Friday, Jan. 5. 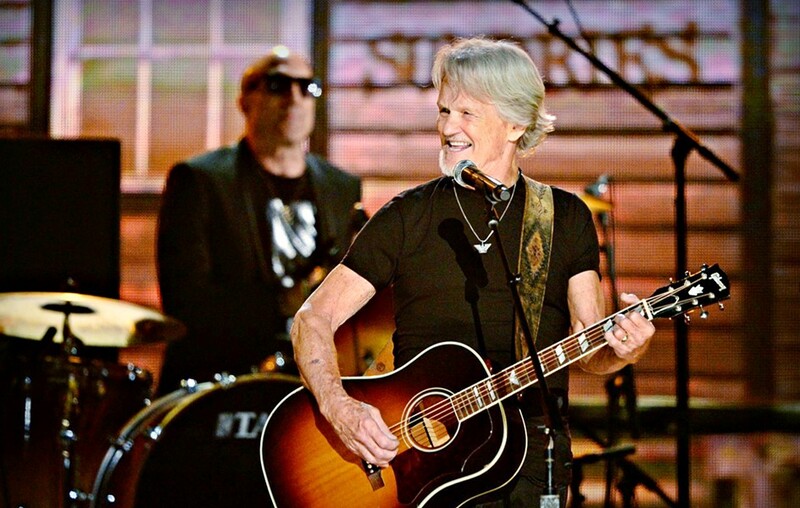 Kristofferson went from Oxford to the Army to Nashville, struggling until the early 1970s, when his songs "Me and Bobby McGee," "Help Me Make It Through the Night," "Sunday Morning Coming Down," and "For the Good Times," hit the top of the charts. "By 1987, it was estimated that more than 450 artists had recorded Kristofferson's compositions," according to press materials. His latest album, The Cedar Creek Sessions, was recorded at Austin's Cedar Creek Recording Studio in June 2014. "Released in time for Kristofferson's 80th birthday in 2016, the double-CD set is a snapshot of the legendary songwriter in the twilight of his life," according to press materials. It's a slow acoustic burn of the outlaw country he helped make famous, a floating river of twangy nostalgia, the road, drinking, freedom, love, and yes, even Bobby McGee. The living legend will bring his gravelly voice and lyrical reverie to the Fremont Theater on Friday, Jan. 5 (8 p.m.; all ages; $47 to $57 at eventbrite.com), featuring two sets with an intermission. You will hear more about this next week, but just in case you want to buy tickets early, the Latin, hip-hop, rock sounds of Ozomatli will be at the Fremont on Thursday, Jan. 11 (8 p.m.; $25; Boo Boo Records). Son of the Velvet Rat bring their haunting European folk-rock sounds to Sculpterra on Sunday, Jan. 7 (1 to 4 p.m.), and the Morro Bay Wine Seller on Monday, Jan. 8 (6:30 to 9 p.m.; free), thanks to the folks at Songwriters at Play. "Son of the Velvet Rat is the family business of Georg Altziebler and Heike Binder, a husband-and-wife team of exceptional height who left their hometown of Graz, Austria ... for the endless highway of America," according to a bio on the band's website. DESERT MELODIES The European-folk singers Son of the Velvet Rat have two shows lined up in SLO County for Sunday, Jan. 7, and Monday, Jan. 8. The duo is back on the Central Coast in support of their 2017 U.S. debut Dorado, described as an exotic desert fruit, "equal parts ragged glory and brooding noir, the crepuscular glow of the violet horizon and blood pooled on a motel bathroom floor." "We didn't so much arrange the songs as set traps for them; and as such, the clear-eyed deer of our collective desire walked right up to our threshold and ate from our hands," album producer Joe Henry wrote in the album's liner notes. Well. That's quite a description. And apt. The album is brooding and moody, layered with Altzibler's deep voice (reminiscent of Chris Isaak) and wrapped up in Binder's melodic tones. Songwriters who will be joining the duo on Sunday, Monday, or both include Megan Steinke, Noah David, Ben Rabb, Shawn Ellis, and the LA-based trio the Morning Yells. Music at Morro Bay's hippest music venue The Siren kicks off on Thursday, Jan. 4, with the Moon Pie Jazz Band (8:30 p.m.; free) and brings in Israeli saxophonist Shai Golan on Saturday, Jan. 6 (3 to 6 p.m.; free). Golan will be followed by Glen Delpit and The Subterraneans, who swoop onto the Siren stage later on Saturday, Jan. 6 (9 p.m.; free). 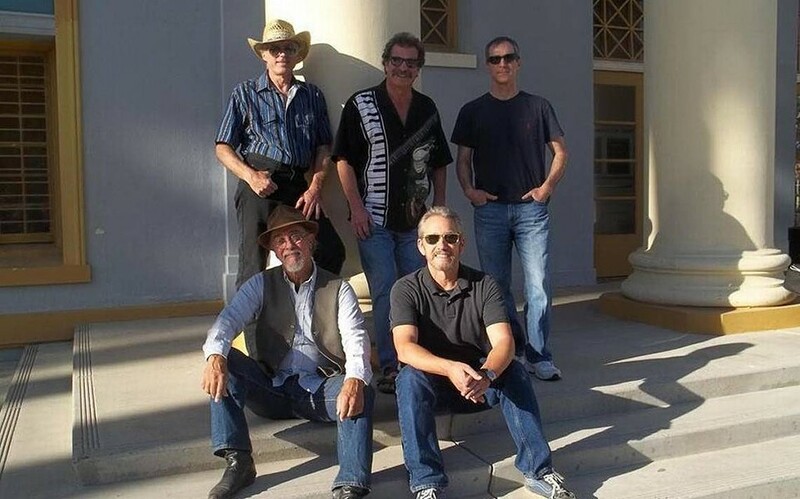 Specializing in Bluesy American Roots Music, this band (which has been together for 30 years running) takes a little bit from blues, folk, rock, rhythm and blues, and country, turning into a driving, danceable sound. Then, on Tuesday, Jan. 9, The Siren presents an evening with Drake Bell, who starred on Nickelodeon's The Drake and Josh Show, which first aired in 2004 (7 p.m.; 21 and over; $15 to $20; Boo Boo Records, ticketfly.com, or at the door if not sold out). DANCEABLE Glen Delpit and The Subterraneans swoop into The Siren with blues and American Roots on Saturday, Jan. 6. "Bell is back as honest as can be," according to his website touting the recently released songs off Honest, his new EP. Poppy and electronic, the sound is a little less raucous than that of his debut, Telegraph, released in 2005 and influenced by The Beatles and The Beach Boys and less rockabilly than his sophomore EP Ready Steady Go. The Red Barn Community Music Series presents the High Life Cajun Band at the Red Barn in Los Osos on Saturday, Jan. 6, at 6 p.m. ($15 suggested donation). The potluck and jam session starts at 5 p.m. The LA-based band plays what it calls straight-ahead Cajun dance music. "The sounds and rhythms of a Friday night dance in southwest Louisiana are alive and kicking when this band begins to play. With the accordion and fiddle at the helm of the melody, and the guitar and drums bringing the heat, the melodies of Acadiana pulse and push dancers across the floor," according to the band's bio. "If you can't make it to the prairies of Louisiana, catch the High Life and they'll be sure to take you there (at least for the night)!" Santa Barbara-based alternative rockers Wall of Tom blends their LA rock roots with West Coast country swagger at Figueroa Mountain Brewery in Arroyo Grande on Saturday, Jan. 6, at 8 p.m. A five-piece band that celebrates "aggressive loving, desire and release, heartache and courage, Wall of Tom pusles and throbs on a mission to knock down walls, entice crowds with lush sonic stories, and captivate audiences with authentic original energy," according to their bio. New Times Music Award winner and Morro Bay local Noach Tangeras will bring her Americana style folk music with roots in blues, country, folk, and rock to pint night on Tuesday, Jan. 9, at the Frog and Peach Pub (10 p.m.; 21-and-over; free). The two-day music and arts festival at Castoro Cellars Winery in Paso Robles, also known as the Whale Rock Music Festival, raised $24,268 for the Templeton Instrumental Music Boosters Association in 2017! Good job guys! "TIMBA ... is a parent volunteer organization dedicated to enhancing the experiences of Templeton High School musicians," Whale Rock's website states. "Student musicians need more than a teacher and a classroom to develop their full potential. They need opportunities to perform in a variety of ensembles and environments, they need instruments in good repair, and they need experts to help them reach that 'next level' in skill. TIMBA provides volunteers to help out at performances, chaperone trips, and organize fundraisers. We strive to provide additional resources and opportunities to ensure that Templeton High School maintains the high-quality instrumental music programs that students and our community deserve." Editor Camillia Lanham is excited for next week. That's when Glen Starkey gets back. Send "we want you back letters" to gstarkey@newtimesslo.com.